The Cretan coffee house, called Kafenion, is a Greek institution, similar to the Pub in the UK or the Kneipe in Germany. In the old days the Kafenion was the center of the village or town district. Everyone passed by, men were sitting there after work. 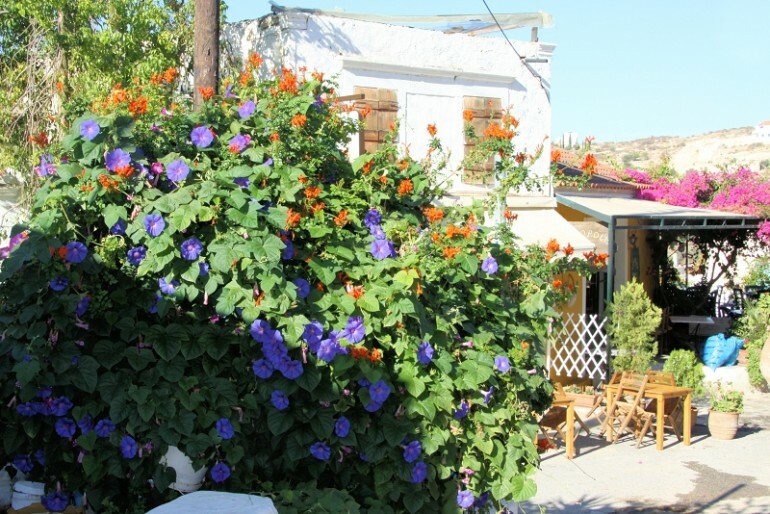 In many Cretan villages and urban districts, which are perceived as small villages, it is still a social center. Formerly the Kafenion had the only telephone in the village. On the roof speakers were mounted in all directions, so that citizens could be called to the phone on important occasions. Today that’s over. Even women and families may sit in Kafenia. However, the young ones prefer the modern cafeterias to meet there listening to loud music. Today, most of the traditional Kafenia in Rethymnon have turned into small taverns (Rakadika) to fill the need of our tourists. The habit to stop by at the Kafenion on a Greek coffee and raki, a chat, playing cards or backgammon is performed more or less by older men. The latest news from the neighborhood, the community and the district are still exchanged here. Before local and parliamentary elections it is often a lively time. Therefore, around the village square, where the Kafenion is usually located, there exist often three Kafenia , for each of the parties one. The Kafenion is primitively furnished and decorated with small rectangular tables with four Greek wooden chairs upholstered in raffia. It is customary to sit sideways at the table, facing the street or the ever-present television, which is usually fixed on a wobbly frame. The walls are whitewashed and provided with photos, pennants of sports clubs or small billboards that appear to come from the past. A calendar and a large clock may not be missing. The Kafenion offers Greek coffee and the inevitable frappe, beer, soft drinks, water, local wine and retsina, ouzo and raki to drink. Mezedes are offered, cucumbers, sausage and cheese pieces, sardines, yogurt with honey, sometimes grilled squid or chunks of smoked meat. In the countryside the Kafenion is often staple foods such as legumes, bread, flour, milk, honey, olive oil, wine, beer, water, soft drinks, canned food, and others more.